9 Monkeys of Shaolin is a new multi-platform old-school beat ‘em up game where you, as a mere Chinese fisherman Wei Cheng, have to avenge the death of your friends and family slaughtered in a pirate raid at your peaceful village. Wei is quite a tough nut to crack as he knows the basics of ancient martial arts only mastered by legendary Shaolin monks. 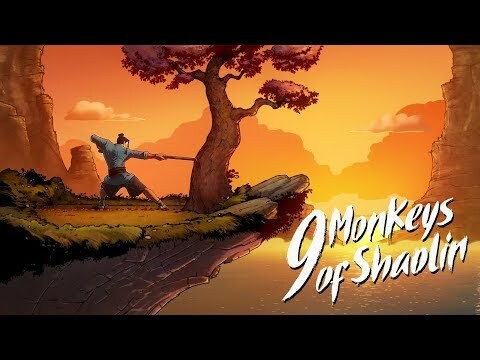 The upcoming 9 Monkeys of Shaolin Linux, Mac, PC, PS4, Switch and Xbox One release date is expected to be Q4 2019 in the US and the UK. Notify me when 9 Monkeys of Shaolin is available.